Not Bali if there is no garbage on the beach. Especially during the rainy season, the beach will be filled with garbage. Garbage is a common sight on the beach. Almost all the beaches in Bali has garbage. Garbage from the river. Rivers carrying garbage into the sea, then washed up on the beach. If the sodium absorption ratio was never cleaned, the beach will be filled with garbage. The habit of littering has been done by the Indonesian people since time immemorial. Because most of the former Indonesian territory is rural and forest. Plastic hard to come by, so that littering is common. Because the rubbish will be destroyed and disappear by itself. But now the number of the population is increasing. The higher the level of consumption, so the amount of waste generated is increasing. But not matched with the service and garbage disposal facilities. Then people would throw garbage into place that allow, for example, throwing garbage in the river. River filled with garbage. Garbage piled up in the river. During the rainy season the river will be flooded. When the flood occurred in the river, all garbage will hanyud seaward. The sea of ​​garbage floats, then washed up on the beach, so the beach filled with rubbish. So garbage in the beach mostly from rivers. Beach that seemed very disgusting with trash is in the area of ​​southern Bali. Because in southern Bali is the center of tourism in Bali. If there is trash on the beach a tourist attraction, the tourists will feel disturbed. They will assume Bali is a dirty and disgusting, just as garbage on the beach. 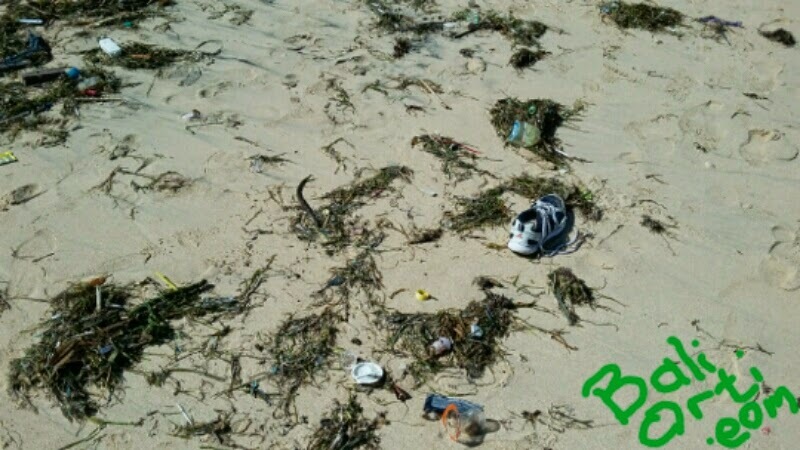 Whereas the trash on the beach are common in Bali, even across the beach in Bali.